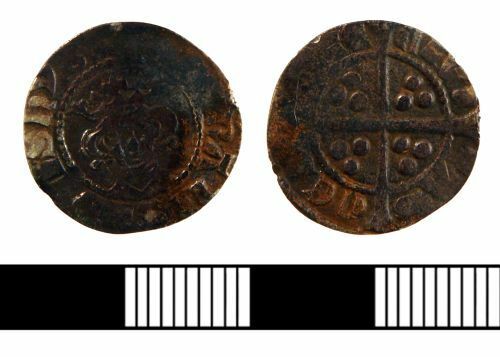 Complete Medieval silver Penny of Edward I, class 9b, c. 1299-1301. Chester mint. A Medieval silver penny of Edward I, minted in London. c AD 1299-1301. Class 9b. North 1037.